We’re less than a week away from the release of Wolfenstein: The New Order. Like many games, there will be a patch for you to download on the first day. We aren’t entirely sure what it contains, but it’s quite sizeable for a patch. It comes in at 5 GB for the PS4 and 7.3 GB for the Xbox One. The game itself requires approximately 47 GB for the PS4 and Xbox One versions. He also mentioned in the same interview that you can dual wield weapons and destroy tons of stuff in the environment (though we suspect you can’t be destructive if you’re playing it the stealthy way). And the story? Trailers have emphasized the dark atmosphere (this is an alternate timeline in which the Nazis won World War II, after all), and we know it has choices and alternate endings, but Matthies also discussed the game’s portrayal of the villains, saying they are “truly representative of Nazi ideology” and have “an air of authenticity.” A high claim, which some fans may disagree with, but it only makes us more excited for this game. 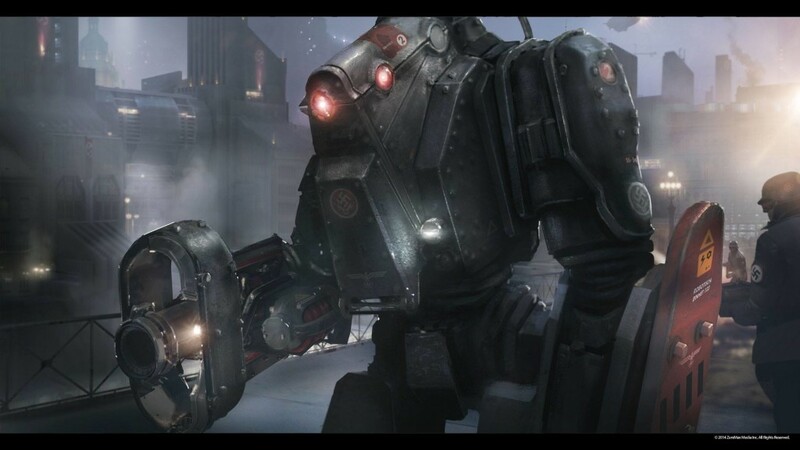 Are you planning to pick up Wolfenstein: The New Order next week?